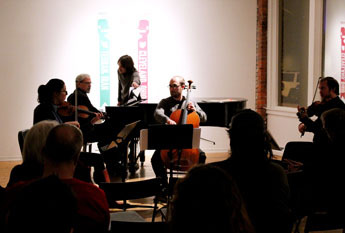 A wide spectrum of new music, by turns casual and intense, pre-determined and spontaneous, was on display in a performance by the new music ensemble No Exit on March 23 at SPACES Gallery. 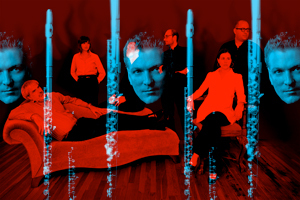 It was the final concert of the group’s March series, which included performances of the same program the previous two nights at MOCA Cleveland and Cleveland State University’s Drinko Auditorium. SPACES provided a small, intimate setting, with three rows of chairs for the audience located only feet from the performers in the first room of the gallery. 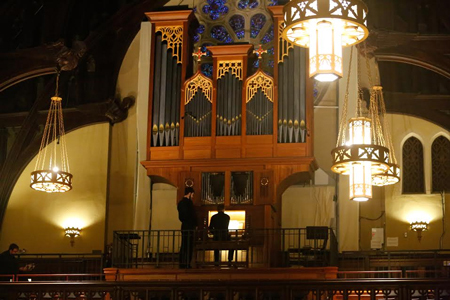 This, along with the art visible in the next room such as the “Twinkling Tricycle”— an antique tricycle wrapped in an absurd length of lights — lent a casual atmosphere to the concert. 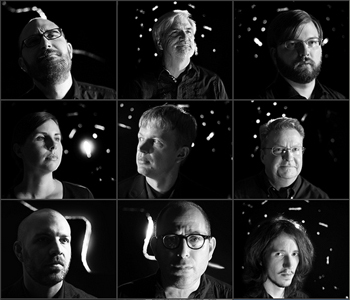 Beginning on Thursday, March 21 and continuing through Saturday, the new music ensemble No Exit presents concerts at MOCA, Drinko Auditorium at Cleveland State University and Spaces Gallery. All three programs include Brian Ferneyhoughʼs Cassandraʼs Dream Song and the U.S. premiere of Sisyphus Redux, Andrew Rindfleischʼs Trio for Piano, Violin and Violincello, and Alberto Ginasteraʼs Puneña No. 2 for Cello (“Hommage à Paul Sacher”). Also featured on the program is the world premiere of Matthew Ivicʼs Piano Quartet No. 2. We spoke to Carlton Vickers and Matthew Ivic by telephone.